Dan Quinn shares his views on the role of technology in procurement, market growth drivers and key challenges that CPOs face. | Fleming. Dan Quinn shares his views on the role of technology in procurement, market growth drivers and key challenges that CPOs face. Dan Quinn Joined Tejari in January 2016 and is responsible for Tejari and BravoSolution Middle East & North Africa (MENA) out of the regional office in Dubai. Dan brings over 20 years of procurement, sales & consulting experience along with a Master of Business Administration (MBA). 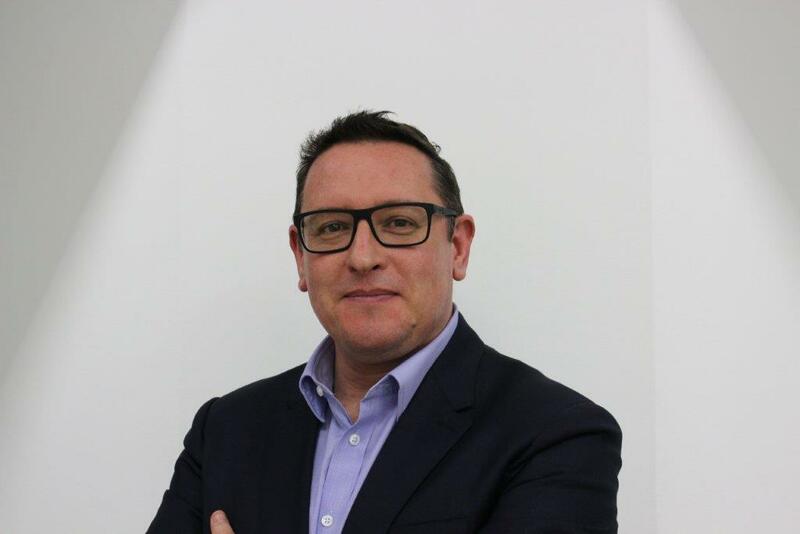 He previously spent several years as an Account Director for BravoSolution in the UK as well as various Vice President/Director roles for EMEA in other procurement related organizations. 1. Can you give a brief insight into Tejari's operations and the BravoAdvantage platform? Tejari is a part of the BravoSolution network and we represent BravoSolution in the MENA region. Tejari is our primary brand in the UAE and has a proud heritage as it was initially formed under a decree by Sheikh Mohammed bin Rashid Al Maktoum and Sheikha Lubna Al Qasimi. It is a joint venture between BravoSolution and Isthimar World (a part of Dubai World) so we're kind of a quasi-government owned organization and we have a great team of 70 plus procurement professionals based in our regional office in Dubai and we support the entire GCC from here. We use the latest BravoAdvantage Suite; BravoAdvantage 16 strategic procurement suite. It’s a mixture of supplier relationship management tools, sourcing, contract management tools, spend analytic tools, savings management tools which all combine into one suite for helping our customers step change their procurement capabilities. BravoAdvantage also puts the supplier at the core of procurement strategy. Suppliers are fundamental in providing value in the procurement function whether it be simply providing goods and services or delivering improved economics and innovation. BravoAdvantage is a modular, integrated suite and we also have a range of flexible hosting options that fit the region's requirements perfectly. 2. How in your opinion has technology revolutionized the procurement function? 15% lesser time to market. A lot of our customers are beating those numbers on a regular basis. So our technology and support services have a strong impact on both, the efficiency and effectiveness of the procurement team. 3. What are the most crucial procurement related challenges that the industry is facing and will continue to face in the near future? In procurement, there is always a heavy focus on delivering savings and cost reduction, there is no getting away from it. The priorities change over time, but this continues to be a top issue for CPOs to focus on. It becomes particularly prevalent when times are difficult, for example when the economy is struggling or the market is working against you. In such cases it's often the procurement team that can support weaker P&L’s. The trick then for the procurement team is to know where the value lies and unlock it; especially if it's a mature organization. Another key challenge is managing supplier value and supply chain risk. This is where supportive strategic procurement technologies step in to help the procurement professionals with the heavy lifting. 4. How does Tejari help companies with cost saving, value optimization and supplier management? Tools like spend analytics help our clients identify what they are spending, with which supplier and on what goods & services. This is critical for identifying savings opportunities and prioritizing activities into areas that provide the biggest ROI. Then sourcing and negotiation tools help deliver these value adding opportunities.Often once the easy to identify savings opportunities are delivered, it can be very difficult to identify sources of value beyond that, so in addition to sourcing and negotiation tools, we have an advanced sourcing toolkit which allows organizations to identify the number of different value optimization scenarios even in the most complex categories. Regarding supplier management, as I mentioned the supply base is a key strategic asset for most organizations, so its critical to have a grip on understanding your supply chain, having a 360 degree view of them - their profile, accreditation (& expiry dates), category classification, pre-qualification status, sourcing activity, current/past contracts, performance, risk profile, spend etc..all this is only possible with a robust strategic procurement toolbox. 5. What do you consider are the major growth drivers for the strategic procurement industry? We see many client motivations for using such tools and techniques, but but two of the most common drivers are; . Organizations looking to invest in transforming their procurement capabilities, often as a response to external stimuli for example a stagnant/declining market or economy. Low oil and gas prices which of course are impacting in this region particularly and also when the global macro economy is shocked like China's economy slowing or low commodity prices, it is the smart organizations that invest in procurement to improve their organizational economics to help them weather the storm and often come out of the challenging period stronger. In other cases we have many of our clients facing very challenging targets in terms of cost savings and delivering improved shareholder value. For most organizations, the products and services they buy account for 60 % of the company's total cost. Managing the procurement of that 60% cost is critical for the success of any business. Research also shows that for every dollar that you remove from spend, has a greater effect on profitability than adding a dollar to revenue. If you want to drive profitability, then a dollar removed through efficient procurement has roughly 5 times the impact of a dollar added to the top line. So those two factors are the most common drivers of the strategic procurement investment. A combination of external market forces and the desire to drive and add significant shareholder value. 6. Do you believe that the existing legal and regulatory landscape in MENA countries could be viewed as a barrier to strategic procurement? In my view its quite the opposite, a large percentage of our own regional (and global) clients are from the public sector and regulated industries and in most cases the use of technology actually improves the compliance for such regulations whilst delivering additional value elsewhere. So legal and regulatory difficulties actually support and encourage strategic procurement rather than get in the way. 7. What are you looking forward to at the 4th Procurement Strategy Summit? We're looking forward to catching up with our regional clients, we have 50-60 clients with whom we've been working with over the years and many other organizations with whom we are talking to about future requirements. Also some of the global clients we work with will also be there and of course it's always interesting to meet future customers and those who would like to know more about our solutions. Meet the Tejari team at the 4th Annual Procurement Strategy Summit on 5th and 6th October 2016, at Dusit Thani Dubai.